The school has various clubs that students participate in during their free times. Some of these are listed here. The club was formed on the 15th June 2017 by Primary 8 teacher, John Gor, with assistance from Gabriel Nyany (Primary 5) and Samuel Majak (Primary 6). The members of this club consist of over 50 students from the upper primary school (P4-P8). The Riddles Group - The group challenges the audience by presenting riddles that require reasoning and critical thinking skills for solving. These riddles cover a wide range of subjects including English, Mathematics, Science, CRE and Social Studies. The Talent Group - This group features performs with unique body coordination or contortion skills. To train future actors and actresses. Every day, small groups of P7 and P8 students meet to learn the basics of coding and computer programming through educational apps on tablets. This club helps students to develop their critical thinking skills as they learn to manipulate computer code, a vital skill in our technology driven world. On Mondays through Fridays, small groups of P3 and P4 students meet to practice their English and Mathematics skills with the help of two teachers. The small class size and slow pace of these sessions allow students to learn in a low stress environment with more individual attention from their teachers. This club meets twice a week; Tuesdays for female P6-P8 students and Fridays for female P4-P5 students. The club is managed by Primary 7 teacher, Tabisa Agum, a graduate of Loreto Girls Secondary School. During meetings, the girls learn about menstruation, hygiene and cultural practices that discriminate against girls and women. The club also provides the girls with an opportunity to develop their English conversation skills through poetry. All students are encouraged to participate in sports which are played every day during break/recess and after lunch. 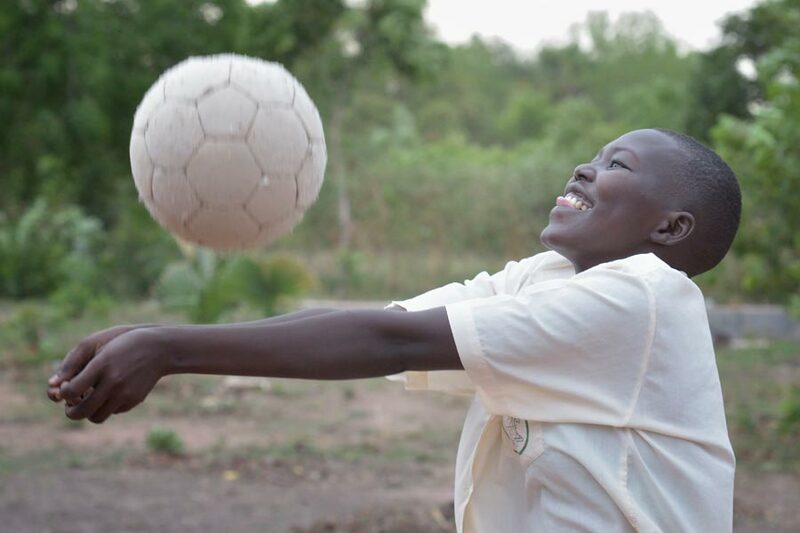 Students play football and volleyball competitively with organized tournaments such as the Principal’s Cup, between upper primary school students and teachers. Each week, small groups of P7 students meet to build simple machines and structures using wood or Engino (Lego-like) blocks, with the assistance of a teacher. This club helps students to learn the basics of engineering and to develop their critical thinking skills. P5 and P6 students meet on Monday through Thursday each week, in groups of 20 or less, to conduct science experiments and to improve their Mathematics skills. The science explorations are based on the science topics currently being studied in class and are facilitated by a teacher. Students are encouraged to participate hands-on, inquiry driven science experiments using science kits and local sourced or recycled materials. Students also use self-paced educational apps on tablets to practice Mathematics with the help of a teacher.